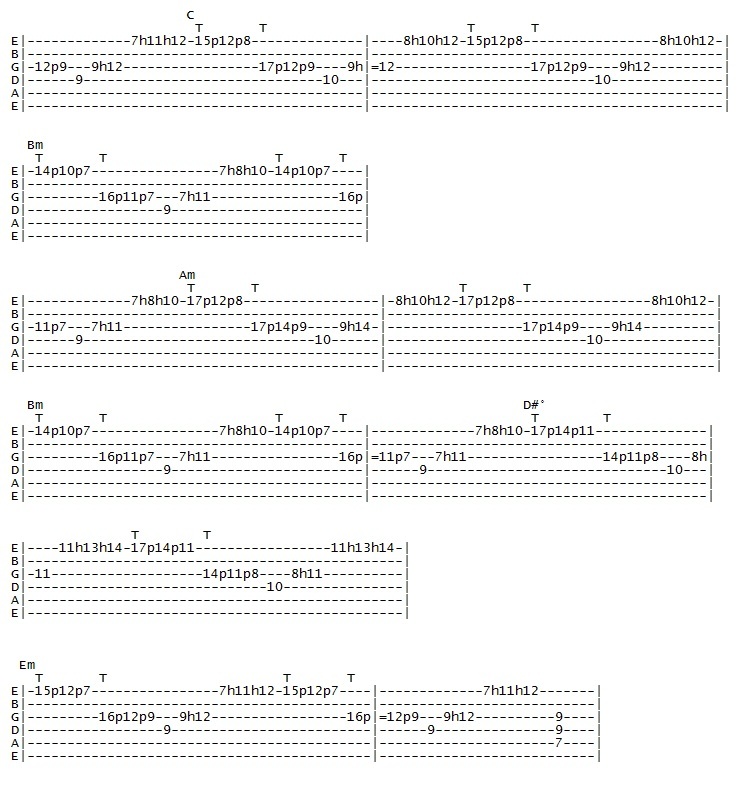 Hi this time we will to practice some legato runs and licks, I think that you will already know the basics of this technique, you need to play extended linear phrases using hammer ons and pull offs when its needed. Legatos are a powerful tool for executing arpeggios too, the arpeggios played with legato often sounds nice and impressive. Start slowly concentrating on every note, and use these ideas as a way of learning to create your own ideas, good luck and happy practicing! Example #2 is another lick; this time we are using the Hon Kumoi Shiouzhi scale (it’s a Japanese scale). 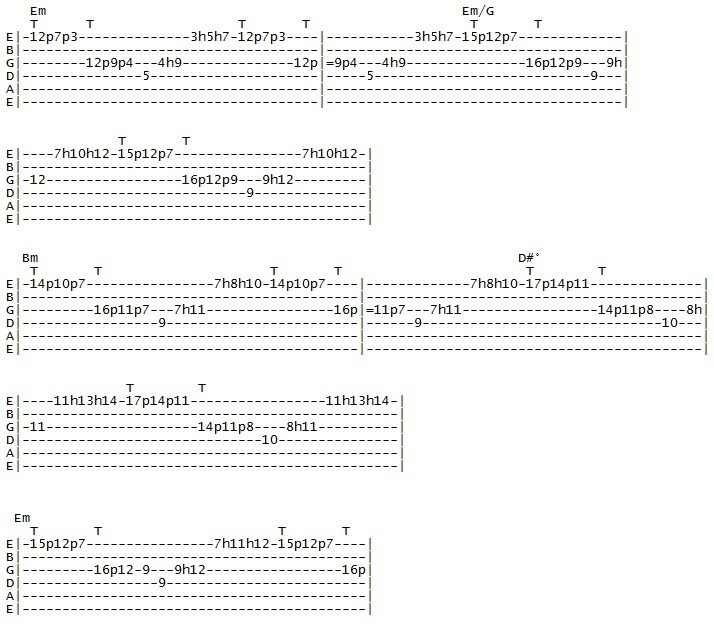 This is an etude of arpeggios in the scale of E minor; it uses legatos, tapping and string skipping – because of this you need to start practicing slow, because every note must sound loud and clear, then add some speed for see how sounds the lick at full tempo. I think you will like it. Well this is all there is for now, I hope you like it. 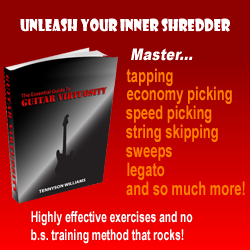 Thanks in advance for having reading, I have an instructional video called Neoclassical Shred Guitar Techniques, with lots of licks and exercises for practicing. If you are interested in more lessons, or just want to stay in touch, please write me at: moisesolvera@hotmail.com.